Wait! Don’t be fooled by the simple title… KEEP READING! This is spinach and chickpeas like you’ve never had before. The finished dish is full of smokey flavors, a perfect contrast of textures and best of all; it is incredibly easy to put together. It’s definitely one of my go to dishes when I’m looking to make a tasty yet simple and filling main course. I make it almost as-is from smitten kitchen, but the recipe is incredibly flexible. 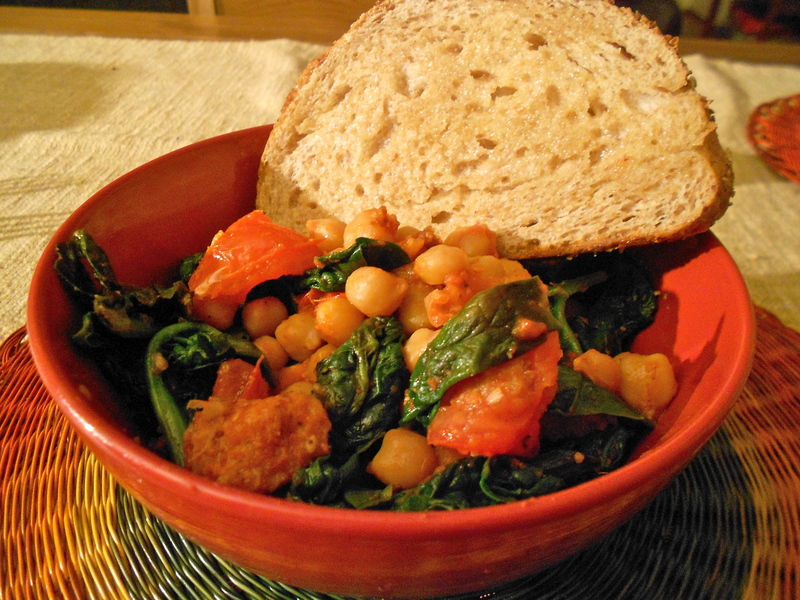 A little more or less spinach, tomatoes, chickpeas or bread will still give you the same great end result. 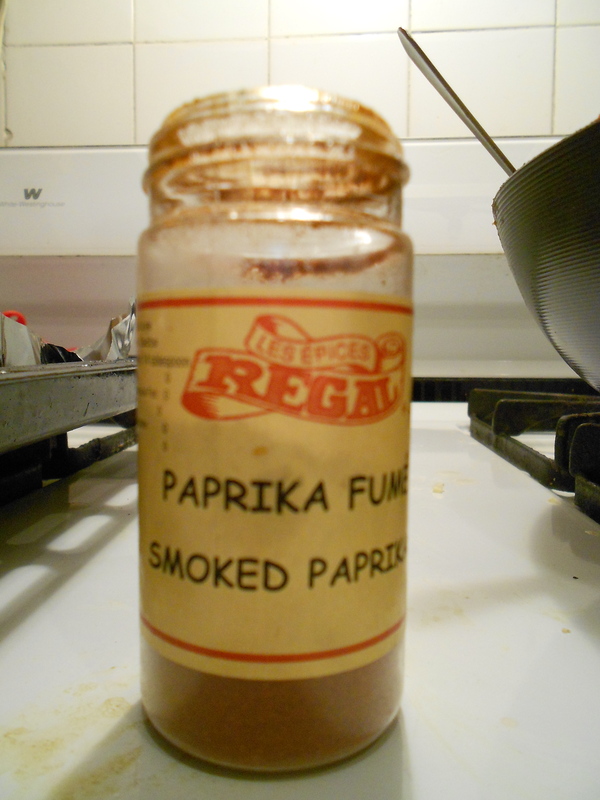 The key ingredient is the smoked paprika of which I use a lot more than the 1/2 tsp the recipe calls for. This is definitely one to try and refer back to again and again! In a large saucepan or a wok, heat up half the olive oil and saute the spinach with a pinch of salt until the leaves are just tender. Remove from heat and set aside. 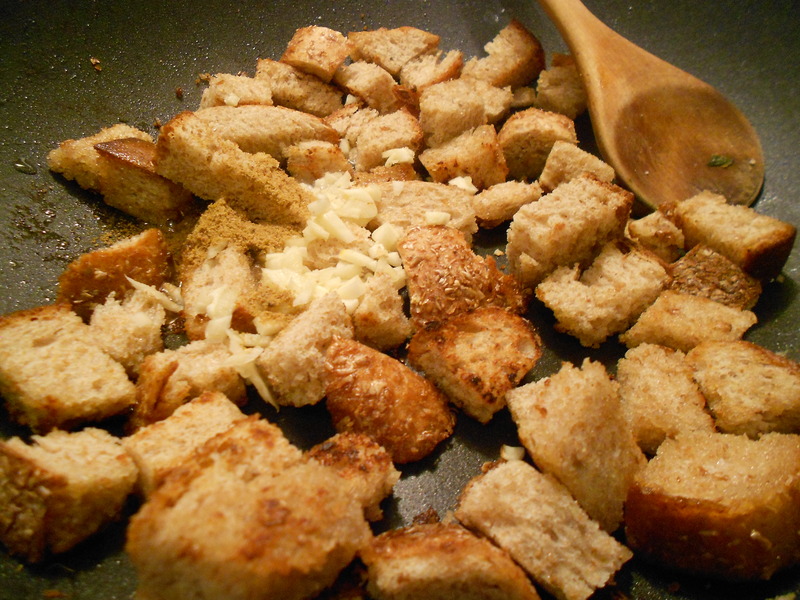 Heat 2T oil and saute the bread chunks until golden brown (about 5 min). Add the remaining oil and the garlic, cumin and pepper and cook until the garlic is browned. Add the chickpeas, vinegar, smoked paprika and whatever variation of tomatoes you have around (I usually do the fresh tomatoes and tomato paste). Stir until the chickpeas are hot and have absorbed the flavours. Add the spinach and cook only until its hot. 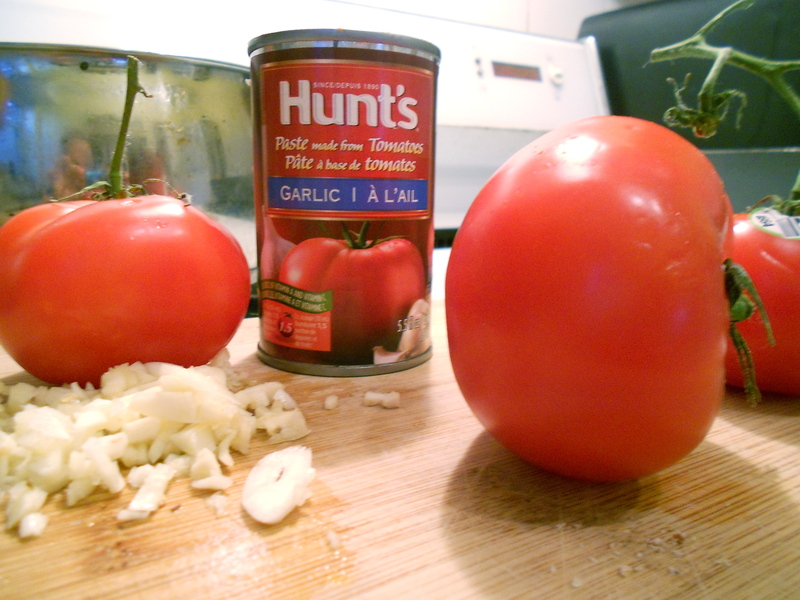 You can serve this as a side dish or on its own with some buttered toast..